Here are some scenes from Episode 10 of my Painting Dark Sword series on the Patreon Page. I wanted to feature some Object Source Lighting in this video, but also how to get more variety in shades of blue. 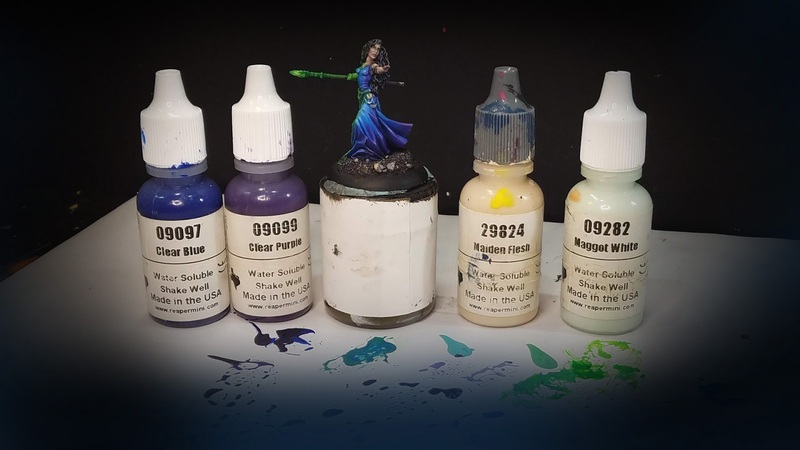 I used the Reaper Clear paints quite a bit, in conjunction with the Vallejo Fluorescent paints, as they really go well together. 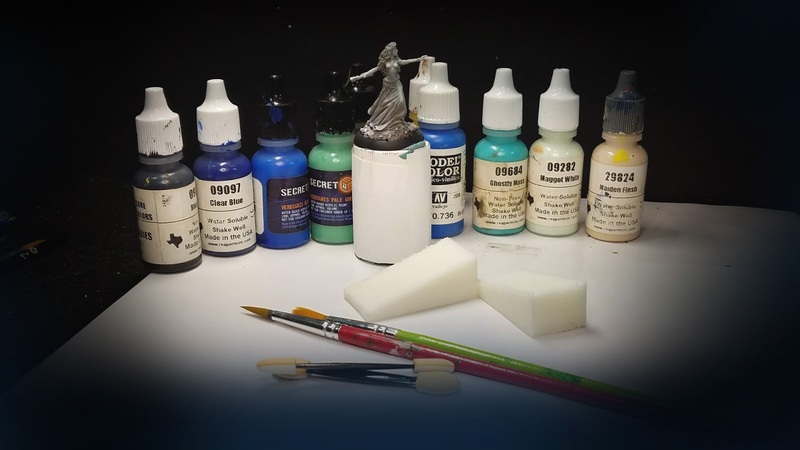 The Clear paints are very richly pigmented, and can also be thinned down into wonderful glazes. I even got a chance to utilize some of my home made flower tufts! Each tutorial is usually 100-120 minutes long, and takes you through every brush stroke, and every concept along the way. The idea is to present you with as many options and tools as possible, instead of “rules”. I will discuss certain basics, and how using those in your favor can make your life a lot easier, and let you get some very nice looking figures in a drastically reduced time frame. We have precious little time to work on our own figures, and there seem to be many instances where they never get painted. That is due as much to the fear of not making them look as good as you would like, especially if they are a more expensive/elaborate figure. Figures sitting in blisters and boxes don’t do us any good, so best to get those painted and on the table/display case! 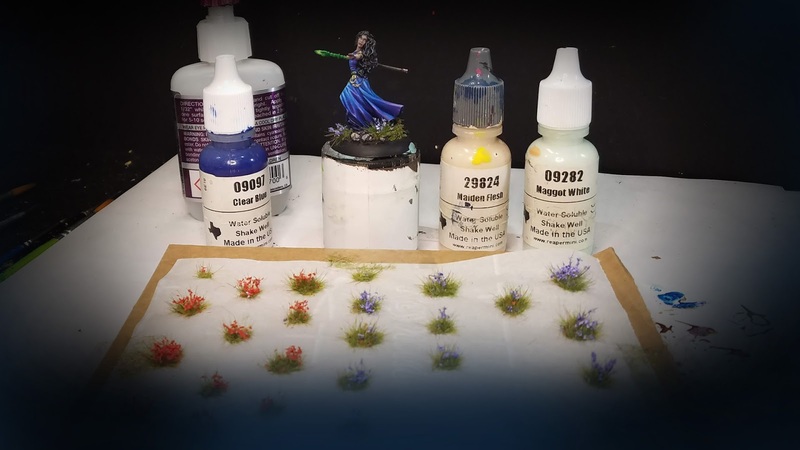 I try to show how I used the varieties in my blueish tones to set off the greenish glow. It is pretty apparent that the main focus was making the blue more reddish, if not a blue/purple. 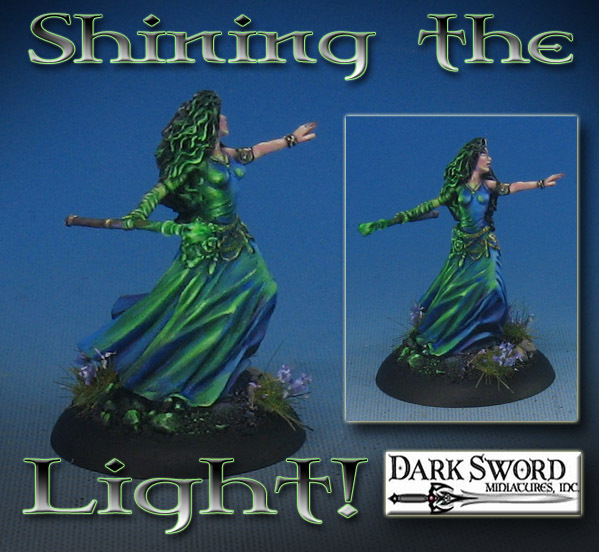 This difference with the greens meant that I could have even more contrast without having to go a lot darker with the blue… or even lighter with the green glow. 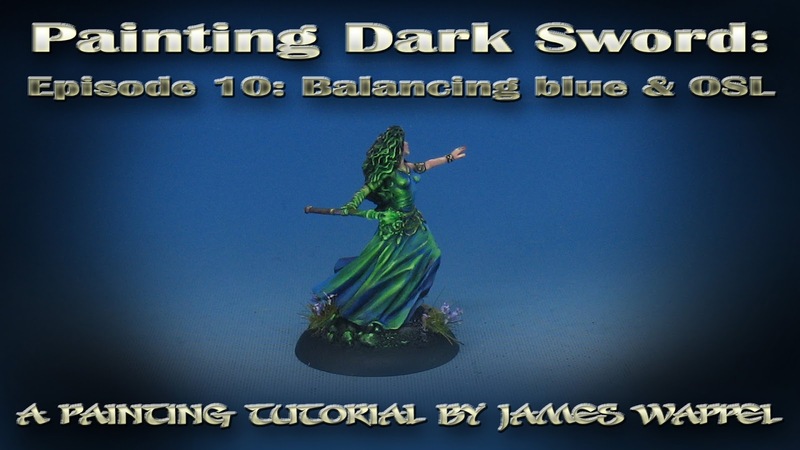 I really love the detail on Dark Sword figures, which is why I created the $10 pledge level that features a number of new lessons each month. You also have access to other tutorials created that month on skin tones, color theory, etc., as all of those are designed to tie into this series!